The Kooks. Great song for your summer playlist! – music. travel. repeat. 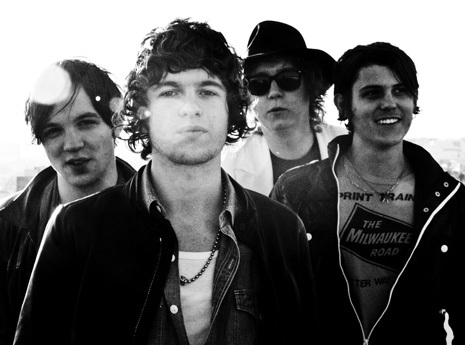 British pop/post punk rock band The Kooks came on the scene in 2005, and unfortunately (or fortunately depending how you look at it) their debut album debuted on the same day as the much anticipated monster debut album of another Brit band, The Arctic Monkeys. That allowed The Kooks to travel under the radar for some time but not too long as their album of catchy songs wouldnt go unnoticed for long. They eventually top the charts in the UK and Ireland and won the MTV Europe Music Award for best UK/Ireland band in 2006. This track has made its way on to my Summer 2012 mix because its just such a feel good song. Its called “Naive” and is off that debut album. Check it! Next Post Next post: A pop music explosion!! !